Participants attending drop-in programs or at the Sullivan Community Center or Lakeview Fitness must have an account in our computer system. An online activation form can be completed at the Sullivan Community Center or can be completed online by clicking here. Participants under the age of 18 must have a parent/guardian included on their account. On Tuesdays and Thursdays, from 11:30 am- 1:30 pm, open gym is available to adults only (19 & older) at the Sullivan Community Center. Basketballs are available to borrow with an ID, or you may bring your own basketball. 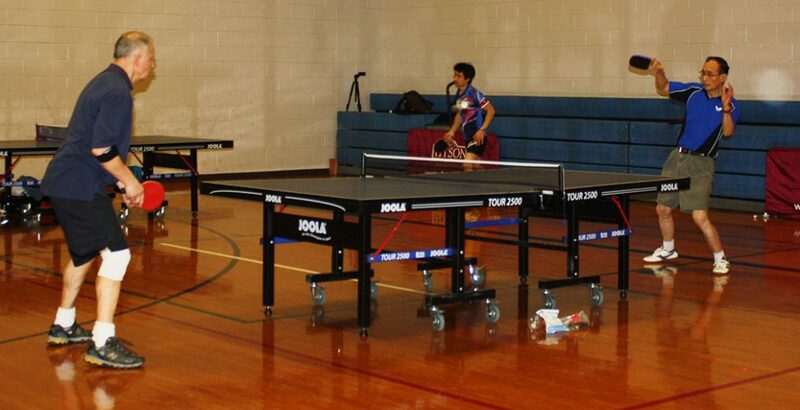 All ages are invited to attend Open Table Tennis Play from 6 pm-9 pm on Tuesday and Friday evenings at the Sullivan Community Center. Paddles are available for use or you can bring your own. There is a $5 drop-in fee per person. Click here if you are interested in table tennis lessons. Pickleball is offered Monday through Thursday and on Sunday at the Sullivan Community Center. Paddles and balls are available for use from the Customer Service desk. The indoor swimming pool at Lakeview Fitness features four 25 yard lap lanes, a thrilling water slide and an enjoyable children’s play structure. Adults can also relax in our hot tub, steam room and dry sauna. The indoor pool is kept at a comfortable 82 degrees and the hot tub is consistently at 105 degrees. The monthly pool schedule lists lap swimming and open swim times, plus water aerobics classes. Open swim is available to members as a part of their membership benefit. Residents and non-residents may pay a daily fee to swim during the open swim times.